Mr. John Dunn, assistant to the managing director Mr. George Teacher Dunlop, has retired after completing 50 years with Wm. 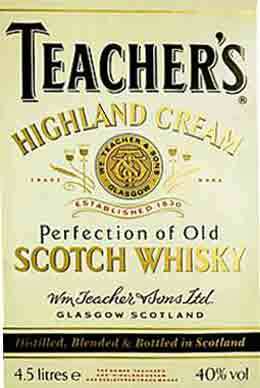 Teacher & Sons Ltd., He reached the retirement age of 65 in September 1973, but was invited by the board to remain with the company until January 11 to earn the distinction of completing half a century. 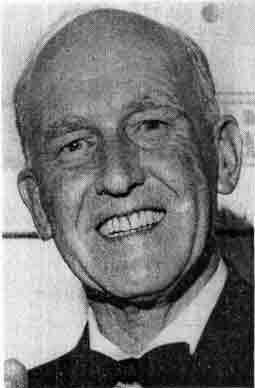 John Dunn joined Teachers in January, 1924, as an office boy at 12 shillings a week when Mr. William C. Teacher, father of Teacher’s president, Mr. Ronald Teacher, and Mr. William Manera Bergius, father to Teacher’s chairman, Mr. Adam K. Bergius, were responsible for the fortunes of the company. He rose to become chief clerk and office manager before becoming the link between the staff and the board, in particular with Teacher’s former home sales director, Mr. Jack Smart, with whom he liaised over the development of Teacher’s distilleries at Ardmore and Glendronach. Mr. Dunn’s retirement was marked by a farewell dinner given by the board. It’s Chaplin and the Keystone Cops again!. Teacher’s bring back the silent for a celebration. The Silent Film era is to be brought back this month by William Teacher & Sons, Ltd., to mark their move from their present London premises, which were formerly a cinema. After occupying warehouse premises are 118-120 Jamaica Road, Bermondsey, for the past 11 years, Teacher’s are moving towards the end of this month to larger and more modern London premises, at Westpoint Trading Estate, Westfields Road, Acton, where they will have 14,000 sq. ft. of storage space as against 4,000 sq. ft. in their present premises. The Jamaica Road warehouse was in fact in pre-war days, the home of the Stork Cinema where local Eastenders used to join the “tuppenny rush” to see the silent film epics of the Keystone Cops, Charlie Chaplin, Pearl White, etc. To mark the company’s departure from the East of London to the West, Teacher’s for three nights are going to transform 118-120 Jamaica Road into the days of the silent film era. On January 27, 28 and 29 the Stork Cinema atmosphere will be re-created. There will be an Old Time bar, jellied eels, roast chestnut, pease pudding and faggots, a Pearly King and Queen, and a pianist with a hony-tonk piano of the period! Keystone Cops and Charlie Chaplin films, and a newsreel of the times, will be shown on each of the three evenings when the guests will be 600 licensees and off-licensees, who are being invited to dress for the night in the 20s and 30s period. 1975.